Home Technology iOS 10.3 Jailbreak Release Date & News: Unlikely With Apple’s New AFPS? 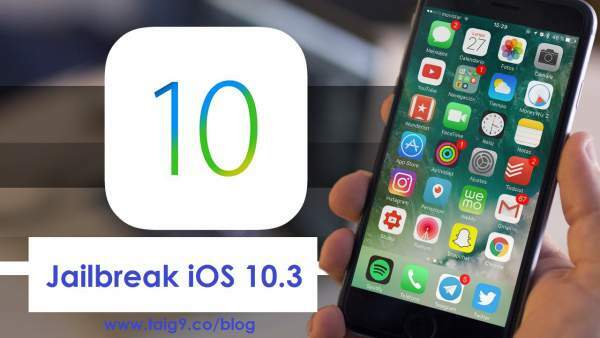 iOS 10.3 Jailbreak Release Date & Pangu, Cydia, zJailbreak Updates: With the recent release of apple iOS version 10.3, It has become the target for worldwide jailbreakers as is the case with every ios version release. Without any insider knowledge, it appears that the hackers and jailbreakers are finding it hard to get the stable working codes. People waiting for the jailbreak of iOS 10.3 will have to wait for some time as it is not coming out anytime soon. Many online portals have reported that it is near to impossible to jailbreak the iOS latest version as of now. Luca Todesco, the famous hacker is also facing a hard time getting the iOS 10.3 jailbreak release, as reported by RedmonPie.com. This is enough to predict that it will take a considerable time. iMore claimed that the iOS10.3 has brought something new to the Apple File System (APFS). With the release of iOS 10.3, Apple will have some ways to protect their operating system from jailbreakers. Before iOS10.3, Apple ha a tough time in keeping tracks of jailbreakers as its OS had HFS+ since 1998. For iOS10.3, it does come with impressive features. Aside from protecting the system, the APFS also allows single code base that requires fewer resources for development and maintenance. The New APFS will allow apple to develop more versions faster. Check: iPhone 8 Release Date. The only option that the jail-break are left with is to downgrade their devices to previous versions. However, it might only be possible for some time until the Apple addresses it and force the users to use the official iOS version. Update x1: Final version of iOS 10.3 is now available to download. There is obviously no jailbreak available for it. Stay on lower firmware versions if the jailbreak is what you want. Update x2: Apple has now released a minor bug fix and security update release in the form of iOS10.3.1. The post above has been updated to reflect this change. Update x3: Apple has now released iOS 10.3.2 in beta, with three seeds already available to both developers and public testers. In another news, Apple is running bug bounty program in which hackers/jailbreakers reporting bugs can get millions of dollars. Also, the company is hiring those with a whopping salary package. Jailbreak users don’t appreciate the work of jailbreakers, thus the jailbreak community is retiring and joining Apple’s research and security programs. Recently, popular jailbreak hacker Jonathan Zdziarski joined Apple. Yalu103 Jail-break wasn’t released officially to the public. It was only compatible up to iOS 10.3 beta 5. Also, Cydia wasn’t stable with Yalu103. Yalu103 is not available with iOS10.3 public version. Pangu Jailbreak is not available for iOS10.3.1/10.3 public version. Currently, any jailbreak method is not available. All cause some problems. Stay tuned to TheReporterTimes for iOS 10.3 Jailbreak Release Date & Pangu, Cydia, zJailbreak Updates. Share your thoughts with us and other reads by commenting below.